We aim to create values and ensure strong financial returns by sourcing for the most attractive investments opportunities in emerging markets. 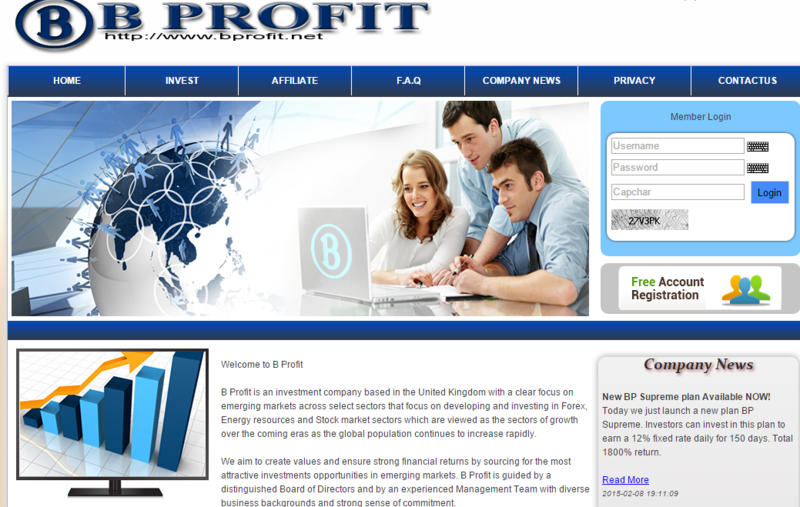 B Profit is guided by a distinguished Board of Directors and by an experienced Management Team with diverse business backgrounds and strong sense of commitment. We are committed to investment in the long term and generating value for our shareholder based on sustainability, best ethical practices and integrity. At B Profit, we believe in the importance of values. Values that define who we are and shape the way we conduct business. Values that are derived from our commitment to our core principles of foresight, innovation, excellence, prudence and trust. 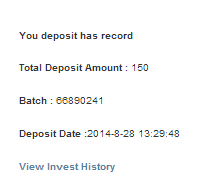 08.28.14 13:27	Account	Transfer	-150.00	Sent Payment: 150.00 USD to account U8023990 from U4731***. Batch: 66890241. Memo: Shopping Cart Payment. The amount of 0.45 USD has been deposited to your Perfect Money account. Accounts: U7637974->U352**. Memo: API Payment.. Date: 08:16 26.04.15. Batch: 87933419. The amount of 0.3 USD has been deposited to your Perfect Money account. Accounts: U7637974->U352**. Memo: API Payment.. Date: 15:09 16.06.15. Batch: 92206211. The amount of 0.45 USD has been deposited to your Perfect Money account. Accounts: U7637974->U352**. Memo: API Payment.. Date: 12:25 21.06.15. Batch: 92588935.